Starting a beauty blog is a great idea, especially if this is your passion. There are many successful beauty bloggers who are not only expressing themselves but are also earning good money. You can be one of them too if you work hard and have patience. You must choose what you want to write about. 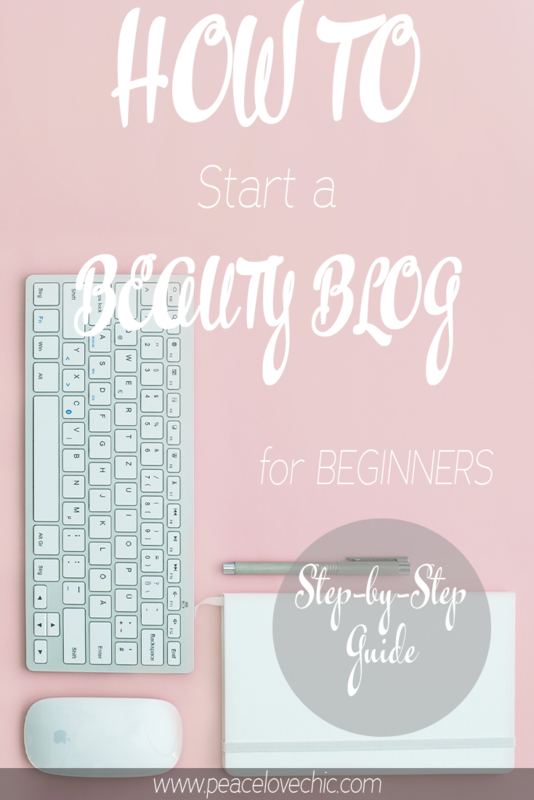 You may start a blog about makeup, hairstyles, or different beauty products. You need to be clear on what you want to write and choose a niche that you can relate to. Just make sure that you don’t choose a more general topic about which there are already tons of blogs. Your first priority should be to write about something new and unique that will help your blog in getting good traffic. Before starting a blog you need to know what material or equipment is required. You definitely need a good camera to post pictures or videos. It can also help you if you decide to make tutorial videos. You also need editing software. You need it for editing and resizing your photos or even to make them look more professional. The first thing you need for starting a blog is to select a platform. There are many blogging platforms like WordPress, WIX, and Tumblr, etc. But, we suggest WordPress.org. It’s the biggest blogging platform in the world. You can also buy your own domain name but this process is really difficult. You first need to choose a hosting provider, and most people recommend Bluehost. So, first open up BlueHost and click the “get started now” button. Next, you need to choose a hosting plan. There are 3 plans from which you can choose: Basic, Plus, and Choice Plus. Then you need to enter the domain name. Choosing a domain name is the most fun part of the whole process but equally important. Your domain name should be unique and beauty-related. People will know you by your blog name, so be creative and make sure it depicts what’s inside. And also make sure that it’s easy to remember so people can talk about it with their friends or family as well. Now, you need to enter your account information and then you have to complete the package information. You can select, for how many years you want to purchase the service. The hosting price will be according to your account plan. Then, you have to click on “SUBMIT” to complete the registration. · Go to your BlueHost account. · Click on the “Install WordPress” icon. · Click on the Get Started button. · Now you need to choose your domain and then click “Check Domain”. · Now you need to enter a little info about your blog and click “Install Now”. Now, you are ready to start your blog!